Benefits, Indications: Pungent, spicy and warming, cinnamon nourishes and restores the body's own ability to produce a healing response. Applied topically in extremely low dilution, cinnamon oil assists in restoring ease and comfort to tired, fatigued or overworked bodies. This stimulating oil can be used for increasing the appetite. Traditionally used as a spice in cooking, in ground or powdered form cinnamon is used as a tonic to increase metabolic activity. It is used as a general tonic, for excessive menstrual bleeding, heavy menstrual bleeds of menopause, gum bleeding, excessive mucous production (digestive, respiratory, urinary), diarrhea, food poisoning, digestive flu, and digestive upset while traveling abroad. 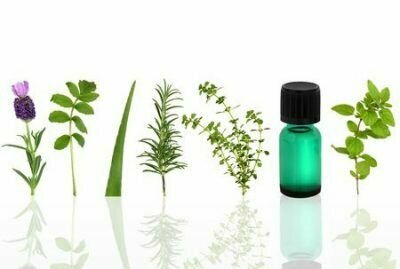 Companion Oils: Spice and herb oils such as basil, clove, fennel, ginger, and marjoram; grass oils like gingergrass, vetiver and palmarosa. Can also be used with agarwood, cedarwood, davana, nagarmotha. Precautions: Cinnamon bark oil is a mucous membrane irritant and strong skin sensitizer. Use only in very low dilution (less than 1%). Do not apply directly to delicate skin or near eyes or mucous membranes, even in dilution. Do not take cinnamon essential oil internally. Cinnamon and its products interact with antidiabetic medication. Cinnamon Bark Oil may cause embryotoxicity and is contraindicated in pregnancy and breasfeeding.